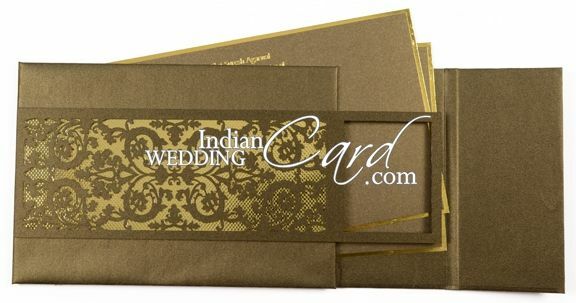 D-5478, Brown Color, Shimmery Finish Paper, Light Weight Cards, Laser Cut Cards, Designer Multifaith Invitations, Exclusive Invitations. 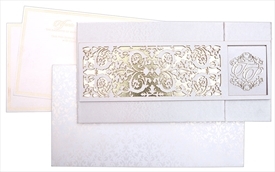 This artistically created piece comes with laser design on the front over a golden paper shining underneath & enhancing the grace of the card. 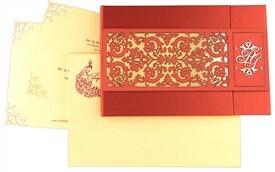 The card also has laser cut initials on the front. 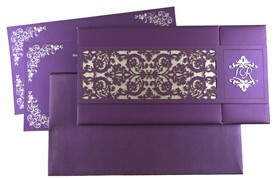 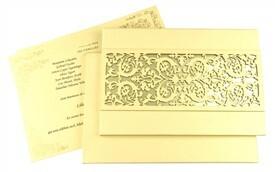 Inside, the inserts have golden plain border & held by a laser cut flap. 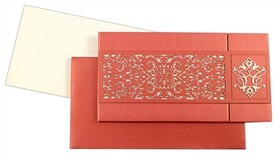 The envelope is plain with golden inner lining paper. 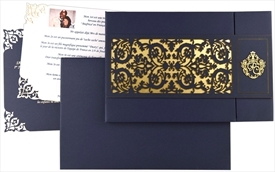 Bronze shimmery paper (120gsm) for 3 fold card hardbound card. 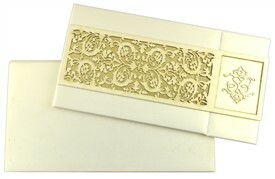 Front band in Acrylic with golden textured base. 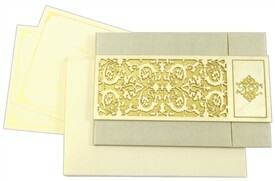 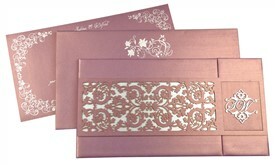 2 inserts, pocket and envelope in bronze shimmery board (250gsm). 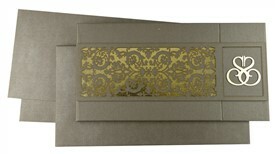 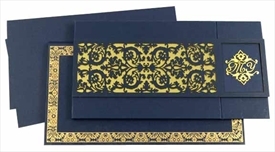 Envelope lining also in gold texture paper. 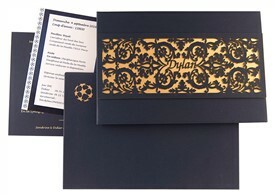 Silk Screen Printing in Gold color. 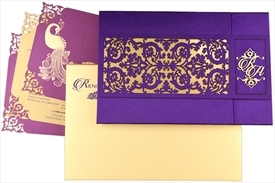 Gold hot foil printing also possible at extra cost.